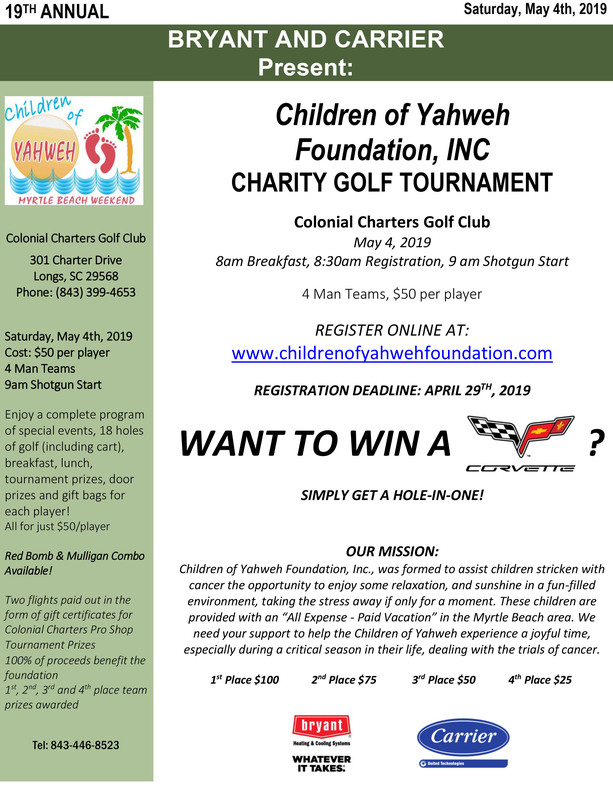 Children of Yahweh Foundation, Inc., was formed to assist children stricken with cancer the opportunity to enjoy some relaxation, and sunshine in a fun-filled environment, taking the stress away if only for a moment. These children are provided with an “All Expense – Paid Vacation” in the Myrtle Beach area. 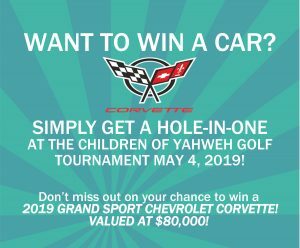 We need your support to help the Children of Yahweh experience a joyful time, especially during a critical season in their life, dealing with the trials of cancer. Fill out the form below to register your foursome. Or, if you prefer, you can download our Printable Registration Form here. Payment may be made by check or via PayPal by clicking the button below. Your form has been submitted, and you will be hearing from us soon!! Hey! 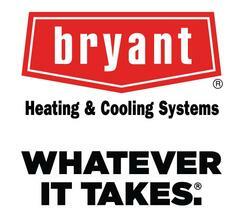 Want to Be A Sponsor Of This Great Event? For All Tournament Details, See Flyer Below! Enjoy a complete program of special events, 18 holes of golf (including cart), breakfast, lunch, tournament prizes, door prizes, and gift bags for each player!